If you’re one of the many HTC One users waiting for the Android 4.3 Jelly Bean and HTC Sense update then we have some promising news. International users are now beginning to report that the HTC One Android update is arriving. Earlier this week we told how the update appeared to have arrived for Taiwan and that HTC had pledged to begin rolling out the update for the Developer Edition of the HTC One this week. Today we have heard more news about the international rollout of the update for the HTC One. It appears that more HTC One users are now receiving update notifications on their phones. Forum users are also reporting that Android 4.3 has arrived for the HTC One Developer Edition. A quick check of the XDA Developers forum reveals posts about the update. For example, a user in New Delhi states that the update has now arrived for their HTC One dual SIM handset. Meantime a user in the US says that their unlocked HTC One has now received the update. Another post from Los Angeles, US says that they are currently downloading the Android 4.3 update for their Developer Edition of the HTC One, and the same message applies to an owner of the Dev Edition of the phone in San Diego. These are all good signs for others waiting for this HTC One Android update, as it looks as though the rollout is spreading. However, it’s worth bearing in mind that different regions and carriers will vary, and yesterday we gave some information about some expected timeframes for the update. We’ll keep an eye out on this situation and will bring more news when we have it, and we suspect that many of you will be hopefully checking your HTC One for the update. In the meantime we’d really like to hear from owners of the HTC One. 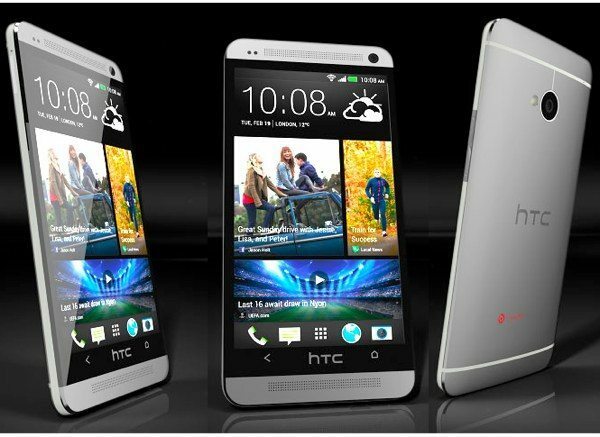 Are you eagerly waiting for the HTC One Android 4.3 update? Maybe your device has now received the update? If so it would be helpful to know which region you are in, so do let us have your comments. Still waiting on Tmobile U.S. to certify it for release. Still waiting in UK for unlocked red HTC ONE. HTC One WITH Rogers in Canada, please let me know I’ve been waiting forever! What does the update do for the ppl that have it ? I don’t see much change. 1) settings screen on shade but I use the other anyway. 2) swipe up the screen for Google Now instead of long pressing home button. 3) daydream feature which is useless to me. There is no change in speed or fluidity. Those you tube videos showing massive changes with this update are not true. The phone is a beautiful, functional phone already. The upgrade is too slight to mention the features. I guess it would have to do with what you’re using your phone for. Did you see any camera issues before? If yes were they fixed? UK (unlocked) Vodafone 4.2.2 – Hoping it’s at the weekend or next week judging by the random locations across the globe. I received the update from 4.1 to 4.3 about an hour ago. I am in Central Florida. PA Sprint HTC one still waiting I can’t wait any longer!! Also under power you can check the box to show battery status by percentage. I chose not to. My battery is already on my status bar. The upgrade also added one more HTC wallpaper which is a red background and the Beats Logo! Indonesia, also waiting for the update. Montreal Canada…..comon already!!!! gemme my 4.3!!!!!!!!!!!!!!!!!! Awaiting Qatar..there is no notification at all…..there is a developer edition 4.3 is available in htc dev. Can I download nd install, is the same for eu stocks also. Still waiting in UK for my unlocked HTC ONE…! Hurry up!!!! I’m getting mad I’m about to throw my phone..